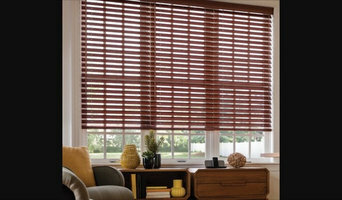 We are a family owned and operated company servicing MD, DC, and VA. Our main goal is to provide an excellent window treatment shopping experience to each and everyone of our customers. We take care of everything; from our free in-home consultation, to the installation, and everything in between. Danny’s Cleaning Service offers comprehensive move-in/out cleaning services. Whether you are leaving or settling into a new home, call Danny’s Cleaning Service for a professional home cleaning for a fresh sparkling clean home or apartment. Are you moving somewhere new? 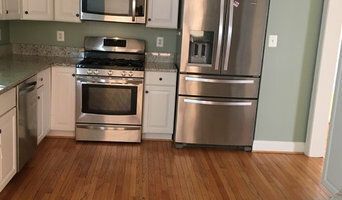 You would shock to see the years of dust and grime left by previous tenants and home owners. Our thorough cleaning can minimize allergy or asthma symptoms, and give you a stress-free welcome to your new home. With Danny’s Cleaning Service, you can rest assured that your house or apartment cleaning will be taken care of with professionalism and attention to detail. Small but growing power house. No job is too big or too small. Remember when housekeeping was more than just housekeeping? We do! We are the only residential housekeeping service in the nation with full-service maids. From cleaning, to laundry, to pet care, gardening, cooking, and more, our full-service maids do it all. 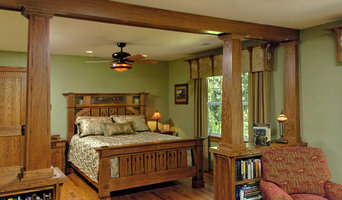 We specialize in all services related to house and home. Some may call it crazy. We call it Maid Frenzy! Call and book a service today and find out why Maid Frenzy! is the nation's hottest craze. One or two paragraphs what sets us apart from everyone else. Water damage restoration in Centreville, VA just got easier! With Flood Damage Pro you can rest assured that your property will get to its pre-damage condition fast. We have the knowledge and technology to deal with any type of water damage, whether it's a flood damage or just a broken pipe. Call us today for a free on-site estimate. Flood Damage Pro of Burke, VA offers a complete water damage restoration solution for Burke and the surrounding areas of Fairfax County. We repair water damage and fire damage, as well as providing expert mold remediation services. Call us 24/7 for immediate assistance. Imperial One Cleaning Services is a customer-oriented company dedicated to values and integrity. They specialize in residential and commercial cleaning and cover the Woodbridge and surrounding areas, including Metro D.C. They offer an assortment of important cleaning services from flooring to water damage to construction sites and even exterior power washing. They even offer their commercial janitorial services 24 hours a day, in order to provide you with a clean work space, without disrupting the flow of the day-to-day activity of your business. Arlington Carpet Cleaning VA provides professional cleaning services for your house or office. Call us now and get an exclusive offer. We specialize in carpet cleaning, upholstery cleaning, air duct cleaning, rug cleaning and more. Get the best water damage restoration company in Alexandria, VA for your property. Flood Damage Pro of Alexandria is available 24/7 every day of the week. Call us now 571-775-1263.